The Media Coalition Against Galamsey (MCAG) has said a roadmap by the government to lift the ban on small-scale mining lacks clarity. The Coalition, which has been at the forefront of the fight against illegal artisanal mining and its harmful effects on the environment, said in a press statement released on Thursday that the roadmap “fails to recognise the role of the media and its contribution to the success of this national fight” although the media is an important stakeholder in the fight. The Coalition is convinced had its views been involved in the formulation of the roadmap, its contribution would have enriched the roadmap and dealt with some key issues. ” The timelines for all the intended actions including lifting the ban on small-scale mining are vague. Definite dates for the various intended actions and a completion date would have helped settle anxieties,” the Coalition said. Government on Thursday, August 16, announced a roadmap for the lifting of the ban on small-scale mining in the country. The ban had been in existence after the government assumed office in January 2017 in a bid was to ensure the re-claiming and re-afforestation of mined-out areas, restoration of impacted water bodies. Although he was not explicit, Lands Minister, John Peter Amewu, said on Thursday that he will recommend to Cabinet for the nine-month-old ban on small-scale mining to be lifted in January 2018. Read the concerns raised by the Coalition against the roadmap in their statement published below. The Media Coalition Against Galamsey (MCAG) welcomes the roadmap presented on behalf of Government by the Minister of Environment, Science, Technology and Innovation, Prof. Kwabena Frimpong Boateng. It was the activism and actions of the Ghanaian media that spurred on the government to take on the crisis of illegal mining. Since the ban on small-scale mining was instituted, the media represented by MCAG has been supportive of Government’s actions and has been in the forefront of engaging various interested groups, educating the public and providing a platform through our various outlets for extensive dialogue. 1) The role of the media in educating and informing the public on issues of national concern cannot be over-estimated. For such a roadmap, stakeholder engagement and a communication strategy will be critical to the success of the project. We, therefore, find it worrying that the roadmap for lifting the ban on artisanal and small-scale mining and the way forward, fails to recognise the role of the media and its contribution to the success of this national fight. The role of the NCCE in providing education to the citizenry is equally important. Throughout the organization of the 19 public engagements by the MCAG, the NCCE was very actively involved, carrying out its mandate and yet their role is also not recognized in the roadmap. 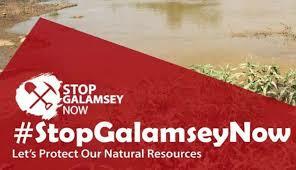 2) We believe that if there had been extensive engagement with stakeholders including the media, MCAG, NCCE, Water Research Institute of the Council for Scientific & Industrial Research (WRI — CSIR) and other partners of the Coalition which have been involved over the months in the #StopGalamsey fight, we could have contributed to enriching the roadmap and dealt with some of the issues that we are raising in this press statement. 3) The timelines for all the intended actions including lifting the ban on small-scale mining are vague. Definite dates for the various intended actions and a completion date would have helped settle anxieties. 4) The roadmap identifies several critical actions by various public and private agencies. These are to be coordinated by the Inter-Ministerial Committee on Illegal Mining (IMCIM) which is an ad-hoc body. It is important that the Minerals Commission or another body be strengthened and empowered to provide the day to day oversight needed for such an important national project. 5) The vetting process provided in the roadmap identifies IMCIM as the lead, supported by chiefs, stakeholder agencies and institutions. The roadmap fails to clarify the roles of these supporting actors and could confuse the process if not clarified quickly. 6) The lack of definition of the role of the Multi-sectoral Mining Integrated Project (MMIP) that had a wide stakeholder involvement in its discussion and validation, and meant to address issues of sustainable mining practices and alternative livelihoods among others, in the roadmap. There was a launch planned for the MMIP by the President and this was postponed, the Roadmap failed to indicate when it would be launched and implemented, though the document had some of the elements within the MMIP, but leaves out some critical elements. 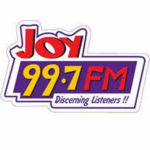 “Any transaction, contract or undertaking involving the grant of a right or concession by or on behalf of any person, including the Government of Ghana, to any other person or body of persons howsoever described, for the exploitation of any mineral, water or other natural resource of Ghana made or entered into after the coming into force of this Constitution shall be subject to ratification by Parliament.” This renders all mining operations in the country illegal. We would, therefore, like to know the steps government is taking or has taken, as this is not stated in the roadmap, towards the ratification of small-scale licenses to effectively put an end to illegal mining. 8. Degraded lands through the activities of illegal mining need to be reclaimed. To date, there is no clear information on steps being taken to reclaim these degraded lands. In addition, there have been several reports of galamsey activities in Ghana’s forests which is yet to receive attention from the government. Our forest reserves are the lifeline of the nation and it would be catastrophic to allow illegal mining activities to go on in our forest reserves unchecked. a. The leadership of the Forestry Commission have been accused of complicity in engaging in illegal mining under the pretext of reclaiming degraded lands. The Forestry Commission issued a press release on the 24th of July 2018 alluding to abuse of reclamation permits, and some unscrupulous persons resorting to selling copies of the permits to foreign nationals, with these persons claiming to have been given permits by the Chief Executive Officer (CEO) of the Forestry Commission to reclaim degraded lands while they engaged in illegal mining. All the Forestry Commission did was to suspend the reclamation permits. The Forestry Commission stated in their Press Release that “In our Opinion, the seriousness of the allegations calls for an in-depth investigation to establish its veracity or otherwise in order to provide a basis for dealing with the root cause and for that, whoever might be implicated in the offence.” We call on the President to set up an independent committee of experts from various relevant sectors to investigate the allegation. The Forestry Commission should be spared from being a judge and jury in its own case. 9. The road map indicates the establishment of mining courts, specifically, “Attorney General to see to the possible establishment of new courts that will focus mainly on mining cases.” In 2017, the Chief Justice designated fourteen (14) courts made up of seven (7) High Courts and seven (7) Circuit Courts to deal with all mining offences committed under the Minerals and Mining Act, Act 703. We would like clarity on the 14 courts already established in relation to the proposal for new courts as stated in the roadmap. How will these new mining courts operate such that it will deal with the challenges that has resulted in less than 10% prosecution of all arrest made by Operation Vanguard. 10. The MCAG also submitted petitions to the Inspector General of Police (IGP) and the AG bothering on self confessed perpetuators of illegal mining and courts that were handing out sentences that were less than what the Minerals and Mining Law prescribed. All of these will have to be resolved lest the road map fails. We are happy that Government has provided a blueprint. However, we believe that this document could be enriched with further stakeholder engagement including the media and MCAG. The road map therefore needs to include a Stakeholder Engagement and Communications Strategy, without which the roadmap will be challenged. The media will continue to hold the government accountable to the intended actions. The harmful effects of illegal mining and the resultant destruction of our environment, including pollution of our water bodies is extensive. We must not lose this fight for the sake of our future generations. The MCAG will play its part and we urge all other stakeholders to play theirs.